An orthopedic specialty hospital has been proposed on 18 acres on the southeast corner of 111th and Illinois streets. The Carmel Plan Commission is set to hear a request at its Sept. 18 meeting to rezone the north 6.16 acres from single-family to Meridian Corridor zoning to match the south parcel and allow the entire site to be developed at the same time. 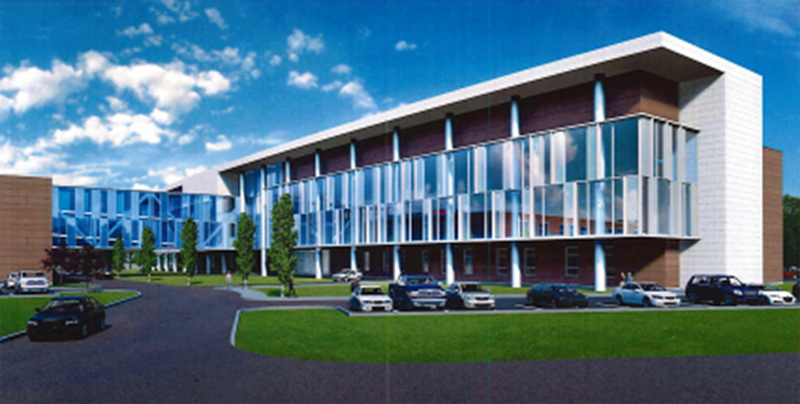 The Franciscan Health Orthopedic Center of Excellence is proposed on the site. Plans filed with the city state that the $130 million project will include a 135,000-square-foot hospital building and 120,000-square-foot medical office building. It will also have a multi-story parking garage and sky bridge connecting the garage to the hospital. Most of the improvements will be made on the south parcel. The north parcel may be used in part for storm water management and surface parking to support the buildings on the south parcel. The project is expected to take approximately 30 months to complete. The Franciscan Health Carmel Hospital opened in 2012 about 1.5 miles north of the proposed site of the specialty hospital. The Center for Hip & Knee surgery in Carmel and another in Mooresville combine to perform more than 2,500 joint replacements each year, and that number is expected to continue to rise as the population ages. “In 2017, Franciscan Health again evaluated the growing demand for orthopedic services in the market and determined that Franciscan’s Carmel Hospital is not equipped to handle the projected growth over the next 20 years,” state planning documents filed with the city. The plan commission is scheduled to meet at 6 p.m. Sept. 18 at City Hall. Why can’t they find a lot that doesn’t have homes on it?